Plus! Play Late for Less every Thursday and on First Fridays, when the museum is open until 7pm with $3 admission after 3pm. Presented by Terminix. Hours vary based on movie schedule. Mondays are group-free in the museum. Our busiest hours are Tue-Fri, 10am-1pm. To make the most of your visit, we recommend that you allow at least two hours to explore. We require a 1:6 adult to child ratio to help us provide the best possible experience for all guests. Make it a day of play by adding an IMAX documentary for only $3 more! Make the most of your visit to Marbles with a day of play + a documentary movie for $10! 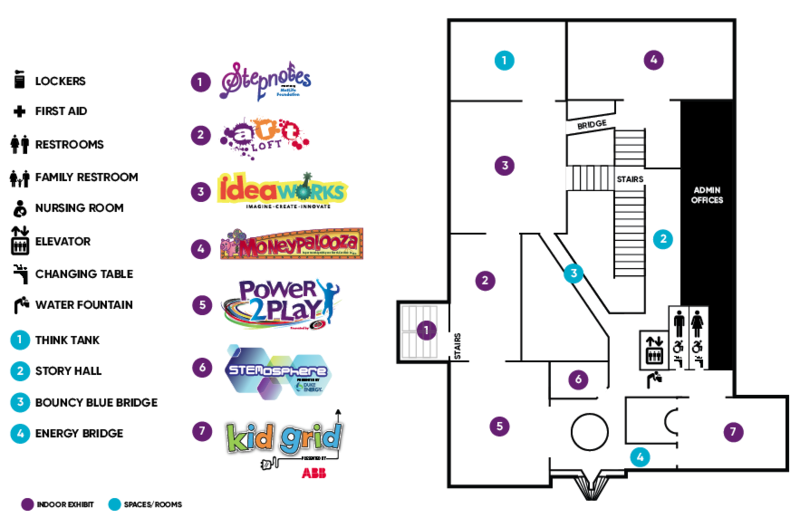 A trip to Marbles Kids Museum & Marbles IMAX is a great way to engage your group in a fun and educational experience. 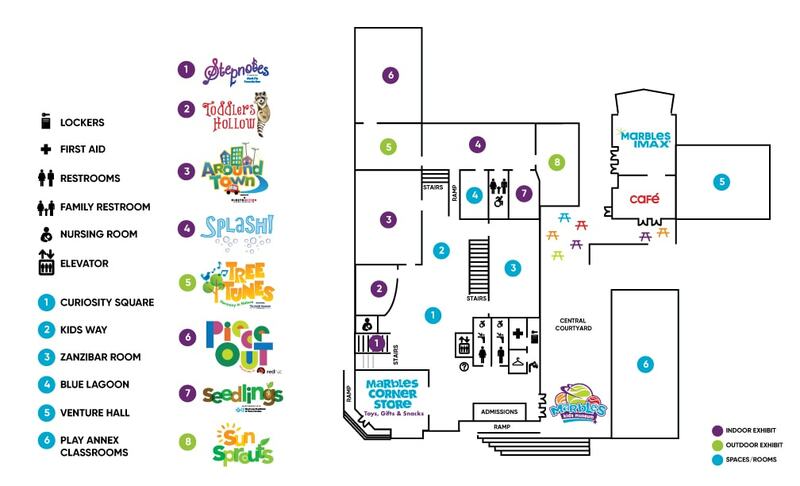 Marbles is a unique destination for day camps, youth groups, Scout troops and more! Request a group visit now or contact the Group Visit Coordinator at 919.857.1049. Group visit capacity is limited in the museum and theater and must be booked in advance. Admission is based on availability, and one consolidated admission is required. Groups are welcome in the museum Tuesday - Sunday and in IMAX every day. Marbles requires an adult to child ratio of 1:6 in the museum for groups bringing preschoolers, 1:8 for groups with children in grades K-5 and 1:10 for IMAX only visits. All chaperones must be over the age of 16. We cannot admit groups with fewer than the required number of chaperones. Museum group visits are for up to 3 hours of play. Museum play is recommended for ages 10 and under. Organize your group by age for a better play experience. Many IMAX documentaries are great for all ages, while some are better suited for older kids. We’re happy to help you choose the best documentary for your group. Ready to request a visit? Fill out the group visit interest form. Questions? Contact us at groupvisit@marbleskidsmuseum.org or 919.857.1049. 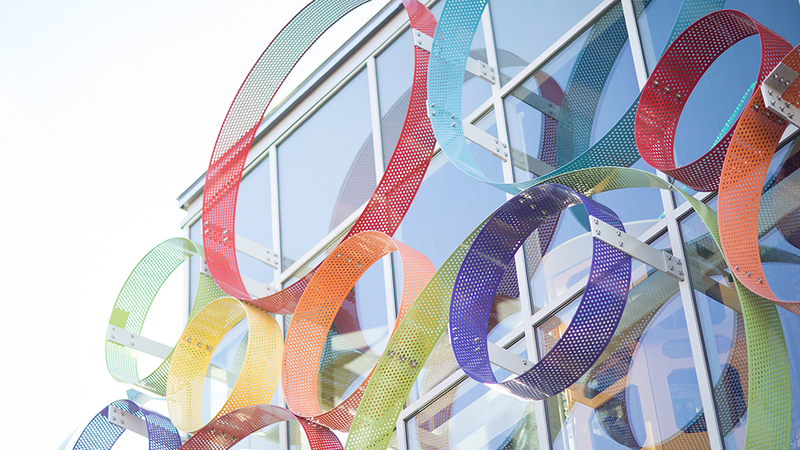 Marbles Kids Museum is located at 201 East Hargett Street in downtown Raleigh, at the corner of Hargett and Blount, across from Moore Square. NOTICE: It is $2/hr to park in the Blount Hourly Parking Lot behind Marbles Kids Museum. The standard rate for street parking on Hargett and Blount streets is $1-$2/hr. Free on-street parking is available on Bloodworth Street, within a short walking distance from the museum. Check out the City of Raleigh parking guide. Wilmington Street Station Parking Deck Pay parking deck located across Blount Street from the museum. There are entrances when heading North on Wilmington Street between Morgan Street and Hargett Street, and when heading South on Blount Street between Morgan Street and Hargett Street. Street Parking Metered parking spaces are located on all streets surrounding Marbles: Blount, Person and Hargett streets. Blount Hourly Parking Lot Located at the north entrance to Marbles campus with direct sidewalk access. Enter when heading East on Morgan Street between Blount Street and Person Street, or when heading North on Person Street between Hargett Street and Morgan Street/New Bern Avenue. *Please note that Marbles does not own this parking lot. The owner of the lot may tow non-paying customers. Bus parking, including 15-passenger vans, is located at the corner of Blount and Edenton streets. No cars, vans smaller than 15 passengers or trucks are allowed in this lot. Chaperones accompanying buses should park their vehicles in one of the hourly visitor lots. The Raleigh Amtrak Train Station is located at 510 West Martin Street, eight blocks (15 minute walk) from Marbles. 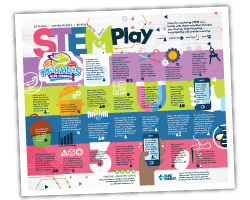 Print out this poster and explore STEM as a family.